The Great Stand on the Ugra River (Russian: Великое cтояние на реке Угре, also Russian: Угорщина, translit. Ugorshchina, derived from "Ugra") was a standoff between the forces of Akhmat Khan of the Great Horde, and the Grand Prince Ivan III of Muscovy in 1480 on the banks of the Ugra River, which ended when the Tatars departed without conflict. It is seen in Russian historiography as the end of Tatar rule over Moscow. The main Russian defense line ran along the Oka River from Kaluga east toward Nizhny Novgorod. At Kaluga the Oka bends sharply from north to east and the defense line was extended westward along the Ugra River. 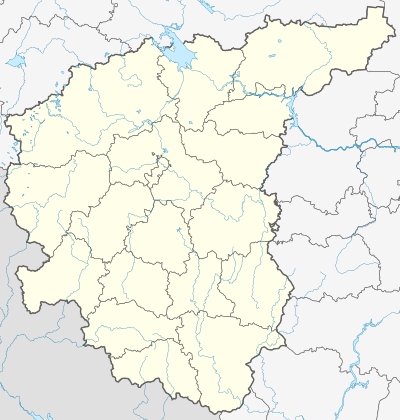 The land west and south of Kaluga was claimed by Lithuania. At this time Ivan III was uniting the lands north of the Oka. At the same time the Golden Horde was breaking up and the steppe remnant came to be called the Great Horde. Casimir IV Jagiellon of Poland-Lithuania was allied with the Great Horde, while Russia was allied with Crimea against the Horde. 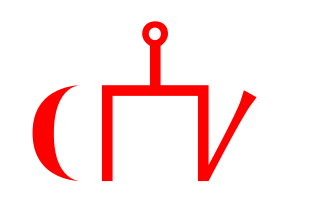 In 1472 Akhmed of the Great Horde raided the Oka at Aleksin but was driven off. It is said that in 1476 Russia stopped paying tribute to the Horde, but the details are uncertain. In late 1479 Ivan quarreled with his brothers, Andrey Bolshoy and Boris of Volotsk, who began intriguing with Casimir. This internal conflict may have influenced Akhmed's decision to attack. Blue: Ugra River. Yellow and Red: Oka River. Labled red squares are military centers during the war. Black X's are Ivan's bases at Kremenskoye and Borovsk. In late May news of the pending invasion reached Moscow. Nesin says it was the largest Tatar army in the fifteenth century. One faction wanted to flee north, but was overruled. In June Ivan sent troops south to the Oka: to Serpukhov under his son Ivan the Young, to Tarusa under his brother Andrey the Less and Ivan himself to Kolomna. Tatar scouting parties soon appeared south of the Oka. Russian outposts reported that Akhmed was tending northwest so Russian troops were moved west toward Kaluga. Forces from Tver moved toward the Ugra. Around 30 September (date uncertain) Ivan returned to Moscow to meet with his bishops and boyars and major decisions were made. The quarrel with his brothers was settled and their troops began moving toward the Oka. The state treasury and royal family were moved north to Beloozero and some cities were evacuated. Vasily Nozdrovaty and the exiled Crimean khan Nur Devlet were sent east down the Oka and Volga to attack Akhmed in the rear. Meanwhile, Akhmed had moved northward between the upper Don and Oka and at an uncertain date made camp at Vorotynsk just south of the Ugra-Oka junction on the west side of the Oka. Here he waited for Casimir, who never came. Casimir was tied down fighting the Crimeans in Podolia, but he may have had other reasons. On 3 October Ivan moved to Kremenskoye (then called 'Kremenets' ) to watch the front. Nesin gives the Russian front as 60 versts (kilometers), but does not specify its start and end points. On 6–8 October Akhmed moved his troops up to the Ugra. Fighting began at one o'clock on the eighth and continued for almost four days. 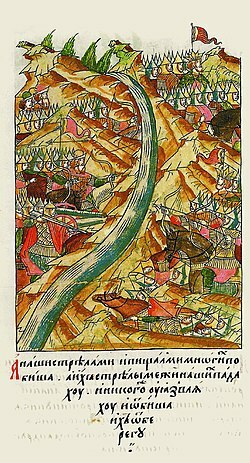 All attempts to cross the river failed, largely because of Russian firearms and because the river was wide enough to make Tatar arrows ineffective. The battlefield extended five kilometers along the Ugra from its mouth westward. Akhmed withdrew two versts (kilometers) south to a place called Luza (location?). He then tried to secretly move his troops to a place called 'Opakhov', but his movement was detected and the crossing blocked. 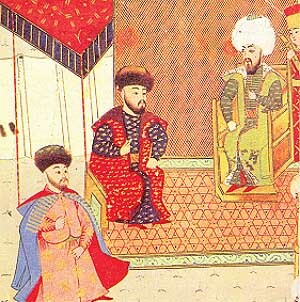 Ivan began negotiations with Akhmed which led nowhere but gave Ivan time to bring up more troops. Both sides spent the next month watching each other across the river, this being the standoff proper. It was getting late in the season and both sides knew that once the river froze solid it would no longer be a barrier. Akhmed could concentrate his forces and break the thin Russian line at any point. Ivan's best plan was to pull back and concentrate his force. On 26 October Ivan began moving troops from the Ugra northeast to Kremenskoye and then east to Borovsk. Here he had a good defensive position to protect Moscow and could strike in any direction if Akhmed chose to advance. Instead of advancing, on 8 November Akhmed began to withdraw. News of the retreat reached Ivan on 11 November. On his retreat, Akhmed raided 12 Lithuanian towns, including Mtsensk. His son Murtaza raided some villages south of the Oka until the Russians drove him off. On 28 November Ivan returned to Moscow. In January 1481 Akhmed was killed by Ibak Khan. Karamzin wrote "It should have been an odd image: two armies ran away from each other, not pursued by anyone", but it is now clear that the two withdrawals were independent. Ivan's motive is clear, but Akhmed's motives are a matter of guesswork. Casimir's failure to appear is clearly important. Nesin thinks that a major factor was the end of Ivan's quarrel with his brothers and the resulting additional troops. The impending Russian winter was a consideration. The longer the standoff lasted the more troops Ivan could bring up while Akhmed's reserves were few and far away. The Tatar horses, and the sheep they drove with them for food, gradually consumed the local fodder. There are reports of disease in his army. Akhmed may have thought Ivan's withdrawal was a ruse to draw him into an ambush, a common steppe tactic. Even if there were no ambush, he would have to fight an army in a prepared position, or try to bypass it. The Tatars preferred hit-and-run raids and Akhmed may not have wished to attack a concentrated army. The sources do not explain why he did not try to outflank the Russian line by moving west. His wise, but seemingly cowardly, withdrawal probably contributed to his death a few months later. On January 6, 1481, Akhmat Khan was killed in a clash with the Nogais under Ibak Khan, a princeling from the Khanate of Sibir. In 1502, Crimea destroyed the Great Horde as an organization thereby removing the buffer between Russia and Crimea and leading to a series of Russo-Crimean wars that lasted until 1784. In national history, the Ugra Standoff is taken as the end of the so-called "Tatar Yoke". Modern writers are more skeptical and see it as an important landmark in the gradual expansion of Russia and the gradual decline of the Mongol empire. Perhaps the most important result of the Russo-Crimean alliance was its effect on Lithuania. 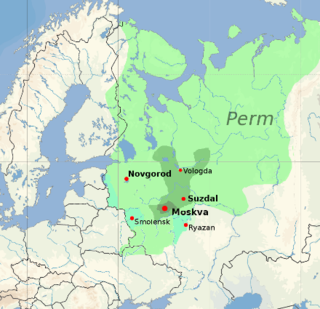 In 1480–1515, Muscovy (Russia) expanded out of its Oka-Volga cradle west to Smolensk and southwest across the Ugra and down the west side of the Oka as far as Novgorod-Seversky. ^ Michael Khodarkovsky, Russia's Steppe Frontier: The Making of a Colonial Empire, 1500–1800 (Indiana University Press, 2002), 80. ^ What happened does not seem to be well documented. Some sources have him reach Sarai. Karamzin thought that this influenced Akhmed's withdrawal but Nesin thinks he was unaware of it or paid no attention. ^ (ru:Кременское) and not to be confused with the Ukrainian Kreminets. ^ See Nesin in sources. Wikimedia Commons has media related to Great standing on the Ugra river. Khodarkovsky, Michael (2002). Russia's Steppe Frontier: The Making of a Colonial Empire, 1500-1800. Bloomington: Indiana University Press. ISBN 0-253-33989-8. Martin, Janet (1995). Medieval Russia: 980-1584. New York: Cambridge University Press. ISBN 0-521-36276-8. Daniel of Kholm was a Russian knyaz, boyar and voyevoda, one of the most prominent military leaders of Ivan the Great. He belonged to the princely house of Kholmsky and was the father of another voyevoda, Vasily Kholmsky.